The reasons why working with us can lead to the best summer ever. The Ibiza Spotlight internship is a once in a lifetime opportunity. The chance to work and live on the White Isle during the summer is one that is coveted by many. Working with us encompasses heady days of club attending, island excursions and dance music industry shoulder rubbing. The previous year's interns Kane, Holly and Peter know first-hand how rewarding the Team Spotlight life is. 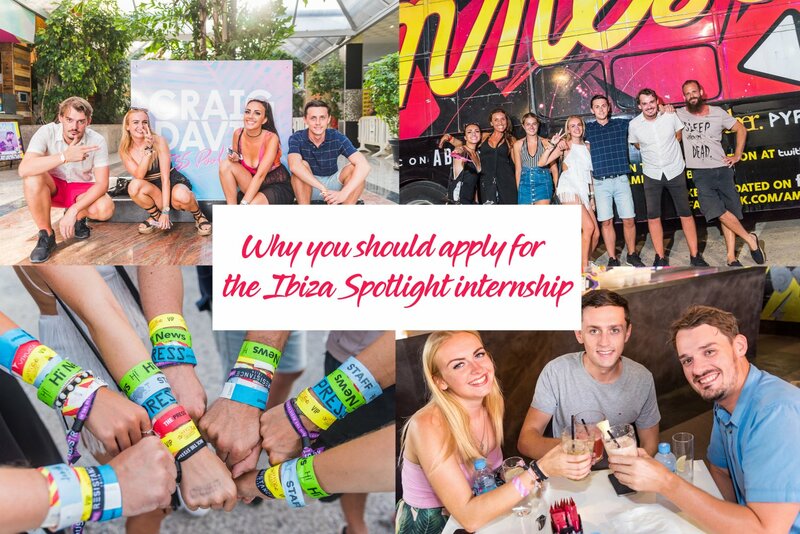 Here are a few reasons why you should apply right now for the Ibiza Spotlight internship. The world's top DJs play on Ibiza within some of the most incredible clubbing spaces on the planet. Parties come in a board range of styles and multitude of genres, taking place every night of the week. Kane now works as a freelance writer for Mixmag UK. Various companies we work with offer a huge number of activities for people to enjoy during an Ibiza visitor's holiday. Holly is currently working and saving for her next travelling adventure. During the summer you will be surrounded by people whose passions will inspire you to reach for more in life. These colleagues and peers for the summer will provide knowledge from their years of experience, vital for your progression within the industry. Peter now works for Ultra Music in Miami and returns to Ibiza during the summer for the Resistance party season. If all of this takes your fancy, then head here to our application page to apply for the internship today. All that's left to say is good luck to all you hopefuls and we look forward to hearing from you talented applicants.